….where the next idea may be coming from. “I want to know too,” I said. The next day I had to try it. 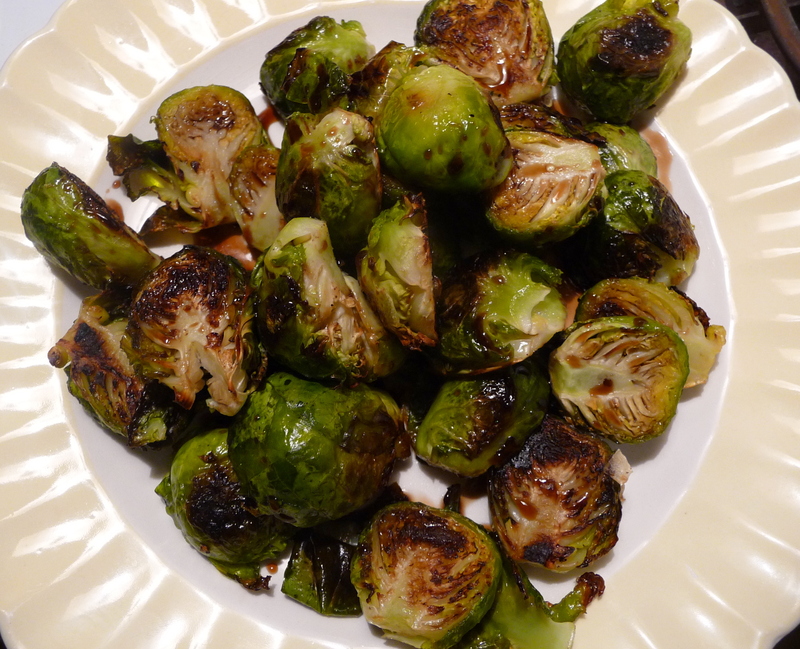 The roasted brussels sprouts — cut in half and the tough end part removed–were a revelation in themselves. First, the outer leaves fell off and turned crispy, delicious for snacking before the rest were done. After about 20 minutes in a 400 degree oven, the sprouts were ready for the plate. Then it was simply a matter of transferring them to a favorite plate, and drizzling the sauce over them. Simply a good idea, from grocery store to table. 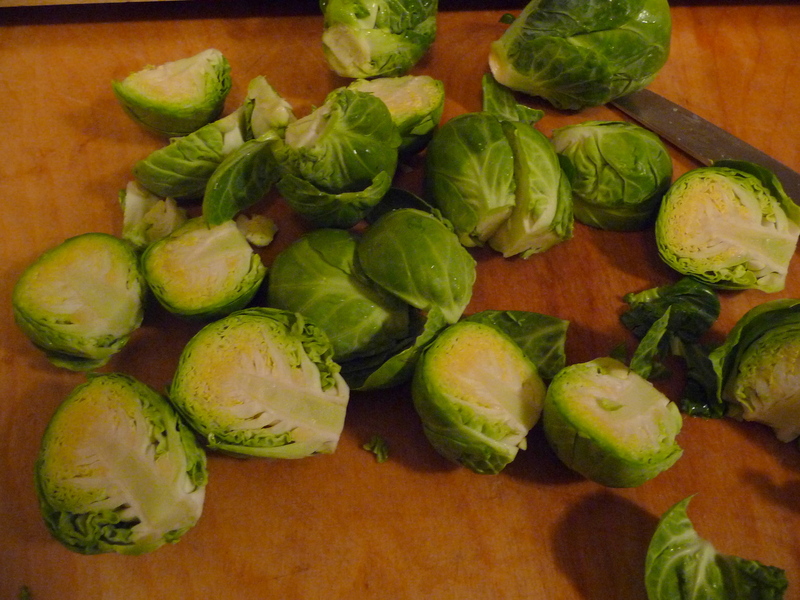 Maybe even for those people who think they don’t like brussels sprouts. I’ve always loved oven roasted Brussels sprouts. I can’t wait to try this new take.